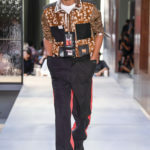 It’s without a doubt big shoes to fill, that of Christophe Bailey’s – Givenchy’s Ricarrdo Tisci was assigned the creative director position earlier this year at the house of Burberry and promptly curated Burberry’s Pre-Spring 2019 collection. 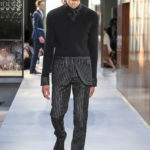 His official debut was on Monday evening, the 17th of September 2019 where he showcased Burberry’s 2019 Spring Summer collection during London Fashion Week. 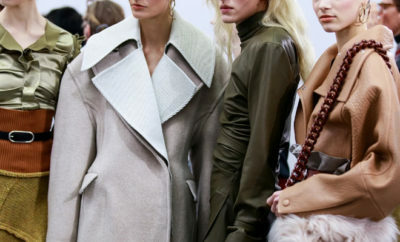 With the eyes of the fashion industry all directed towards the show, the pressure must have been immense. 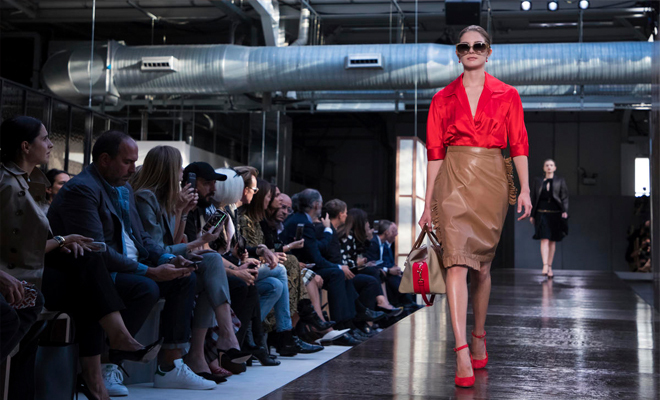 Tisci’s collection titled “Kingdom” featured the mother, daughter, father and the son. Him being Italian, you would find the reference to a gothic innuendo, but the aim was to join the varied forms of British lifestyles into one. 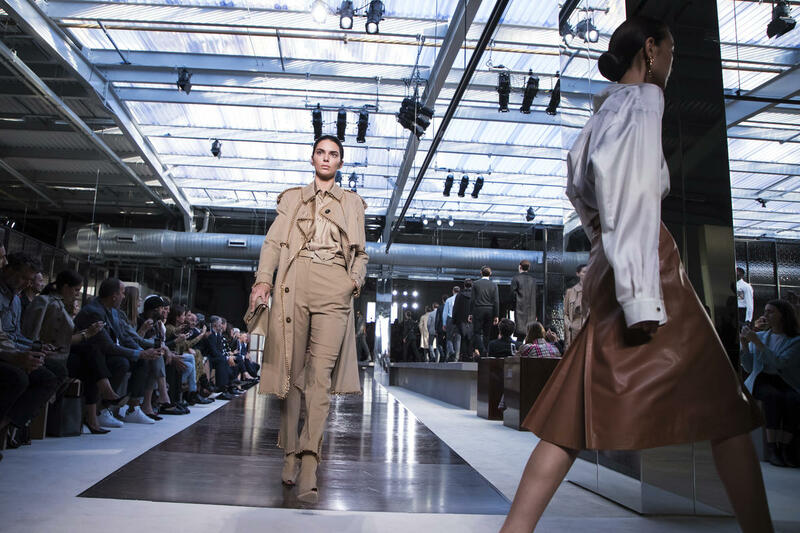 Opening the show was none other than a trench coat, one with a broad elasticated belt that cinched the waist and embodied Tisci’s preferable silhouette. 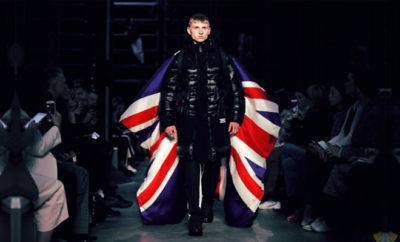 His attempts at modernizing the brand as a whole, involved the new Peter Saville–designed TB-logo-print, the introduction of evening wear garments (in black of course) and sartorial menswear pieces that seemed to catch everyone’s attention. 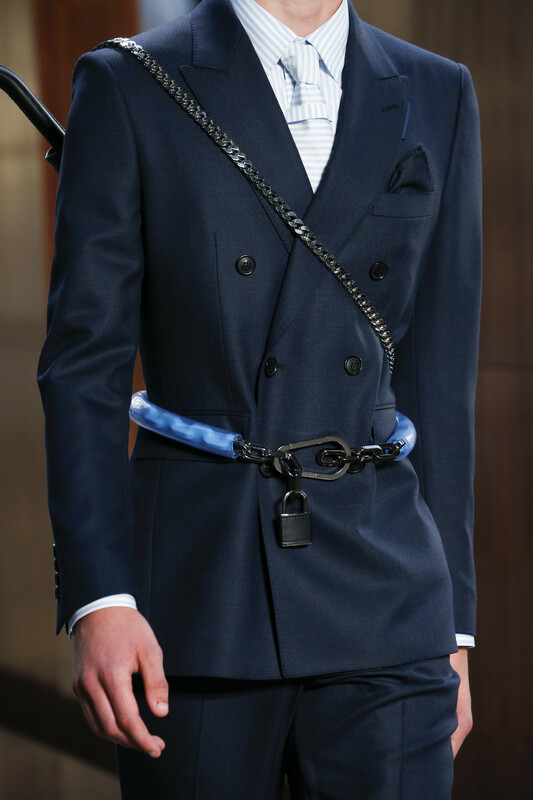 It was a lot to take in; from textures, and prints that referenced Tisci’s designs from Givenchy, which may as well be part of his identity as a designer, bold use of text such as “Why Did They Kill Bambi”, and harnesses that seemed to hold the models firmly. 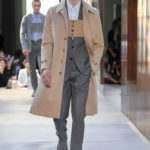 The collection acclaimed international interest, which is a first for Burberry; it usually accommodates to the tastes of upper-class British socialites. 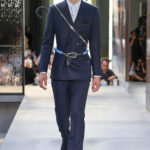 However, the collection was somewhat lackluster, and didn’t particularly showcase innovative garments, design and British essence.